You have several ways of getting to the Facultad de Informática by both public transport and private car. By tram: Route 3 (Colonia Jardín - Puerta de Boadilla) to Montepríncipe station. 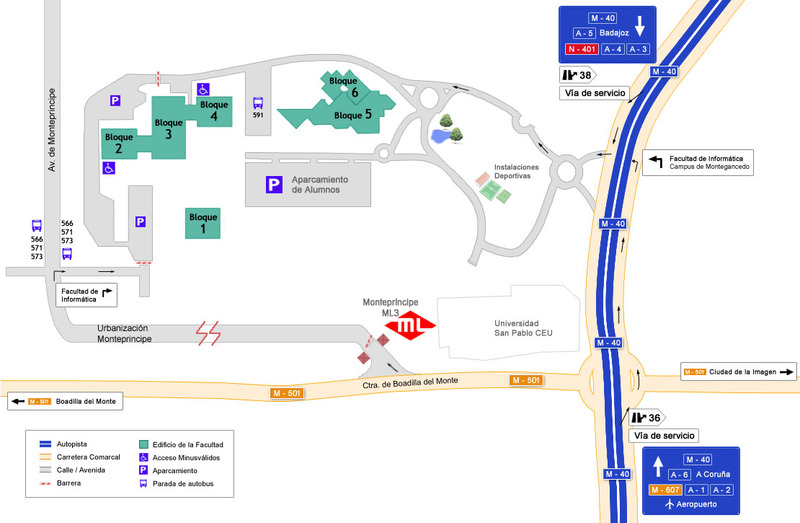 As you leave the station, turn right and make your way to the Facultad de Informática along Avda. Montepríncipe. 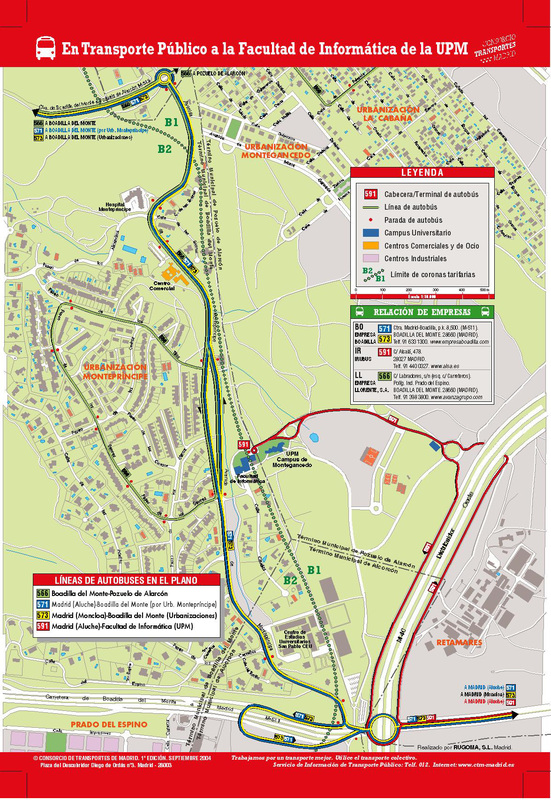 Access by car: Exit the M-40 at junctions 36 (northbound) or 38 (southbound).